Getting Paid is Fast and Easy! We now use PayPal to send earnings and consignors 💖 IT! Get your $ fast, approximately 2 weeks after the sale! Consignor earnings are available immediately. Safe & more secure method of payment vs “snail” mail. THE BEST NEWS? WeeUsables pays the PayPal fees, not the consignor! 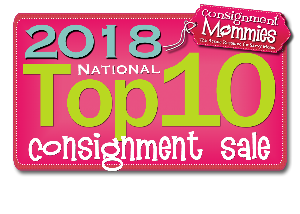 How Do Consignors Get Paid? Approximately 2 weeks after a sale has ended, we will deposit earnings into each consignor’s individual PayPal account – like a “direct deposit”. Once the funds have been deposited, consignors will receive a “YOU HAVE MONEY” email directly from PayPal. At that time, consignors may keep earnings in PayPal to use online OR may transfer those funds to a “traditional” bank account. Your email address is very important because PayPal will use it as your unique account number. CLICK below for more info. I DO have a PayPal account. YOU MUST EITHER change your Wee account email to the same email used with your PayPal account OR add your Wee account email to your PayPal account as a secondary address. MULTIPLE EMAILS MAY BE LINKED TO ONE PAYPAL ACCOUNT. If you have a PayPal account but haven’t used it recently, we suggest you contact them before the sale to insure your account is in “good standing” to avoid a delay by PayPal. Please contact PayPal’s customer service at # 1-888-221-1161. After we make the deposit, consignors will receive a “YOU HAVE MONEY” email with instructions to create an account. OR setup an account now at www.PayPal.com. Make sure the email attached to your PayPal account is the same one used for your Wee account. MULTIPLE EMAILS MAY BE LINKED TO ONE PAYPAL ACCOUNT. Don't Wait! Spots Fill Fast! Consignors are responsible for having their Wee account email match their PayPal account. This must be completed BEFORE the sale and tagging system closes. If the following situations occur, the funds will be returned to WeeUsables in 30 days. At which time, we will mail a physical check to the address on the Wee account, less a $3 processing charge. Sorry, but WeeUsables cannot write a check until the funds are returned from PayPal. Or, a consignor doesn’t claim their money within 30 days. Want a physical check? Just email us before the sale and we’ll mail you a check, less a $3 processing charge, to the address on your Wee account. Questions? We are able to answer limited questions, but suggest contacting PayPal directly regarding their services—www.PayPal.com or 1-888-221-1161.